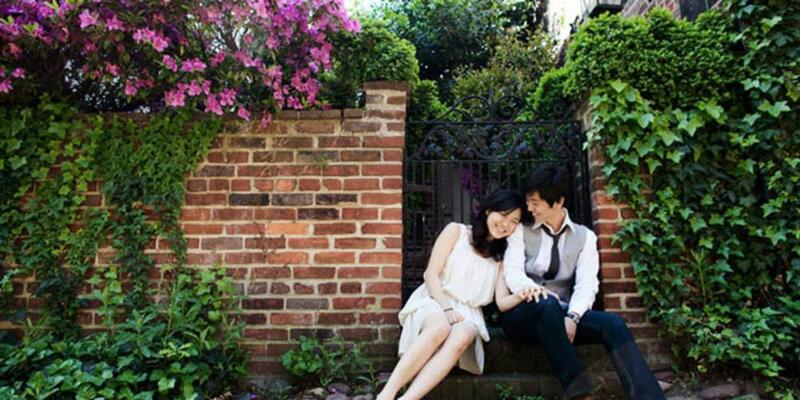 Named the #1 Best Value U.S. Travel Destination 2018 by Money magazine and a Top 5 Best Small City in the U.S. 2018 by the Condé Nast Traveler Readers’ Choice Awards, historic Alexandria, Virginia is a welcoming weekend escape on the Potomac River minutes from Washington, D.C. A nationally designated historic district founded in 1749, Old Town Alexandria hums with more than 200 independent restaurants and boutiques alongside intimate historic museums and new happenings at the waterfront. Hotels ranging from boutique-style to the best known brands await you. Plan a perfect weekend getaway with the ideas below. For more inspiration, see Top 18 Things to Do in Old Town. 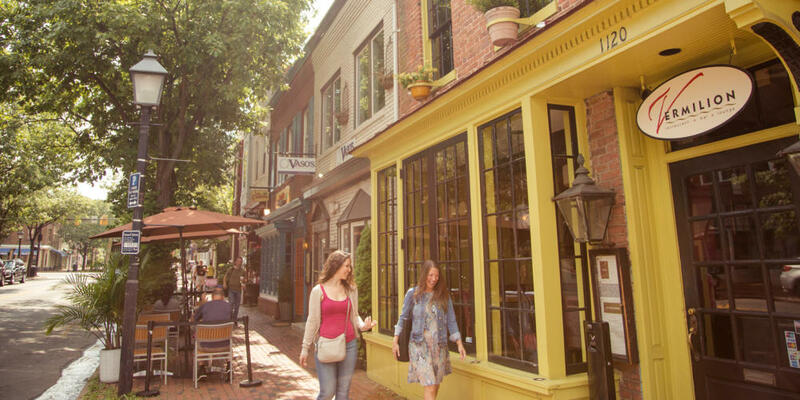 Stroll through the heart of Old Town along King Street, named one of the “Great Streets” of America. 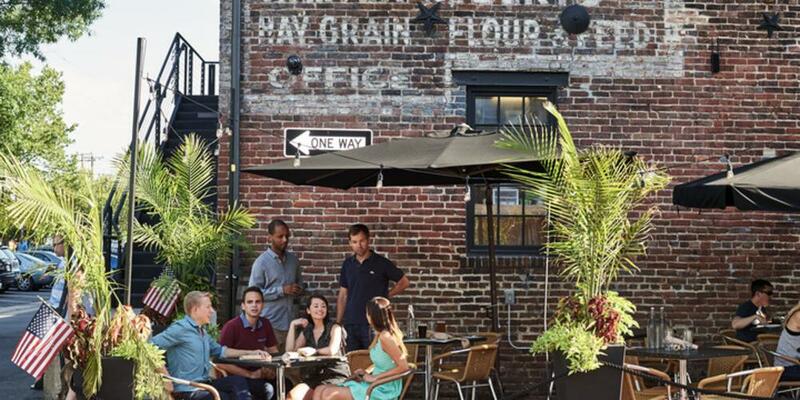 This walkable mile is lined with 200+ independent shops and restaurants set inside historic buildings, red-brick sidewalks and a free trolley. 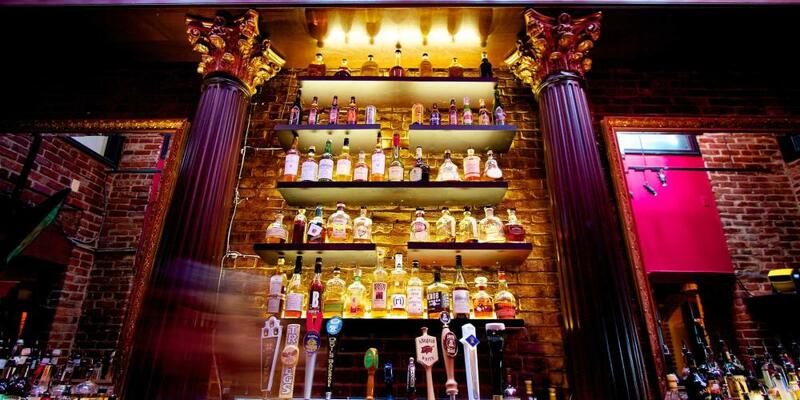 From handcrafted cocktails in upscale restaurant bars like Vermilion to pints of locally brewed Port City Brewing Co. beer at pubs like Daniel O’ Connell’s, more than 35 bars offer memorable settings to kick off your weekend. Whether dining on Virtue Feed & Grain’s outdoor patio or in the upstairs Sofa Lounge, you’ll be surrounding by historic character in this former 1800s feed house. 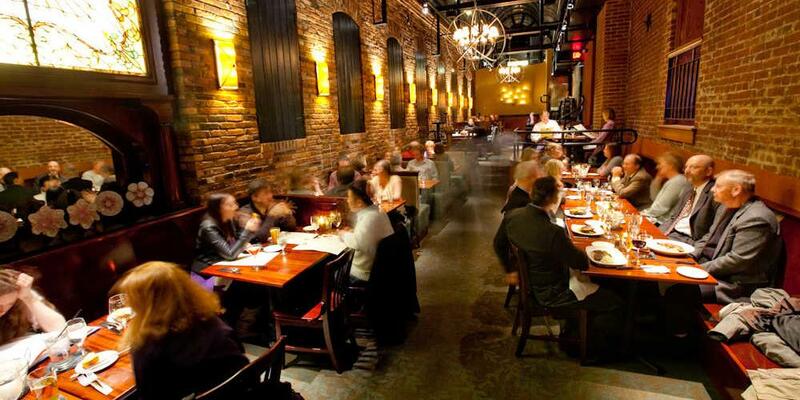 Savor local flavors and unbeatable atmosphere throughout Old Town’s restaurants in centuries-old buildings. 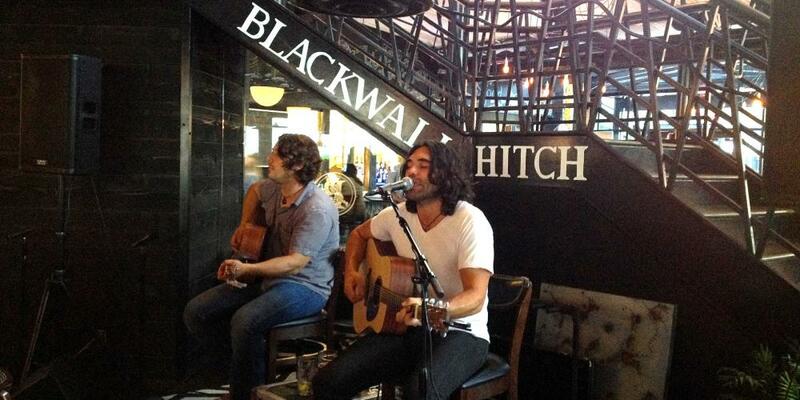 Tune in to local bands at Blackwall Hitch, also serving craft cocktails and stunning waterfront views. On King Street, it’s game on with shuffleboard, skeeball and live music at The Light Horse. 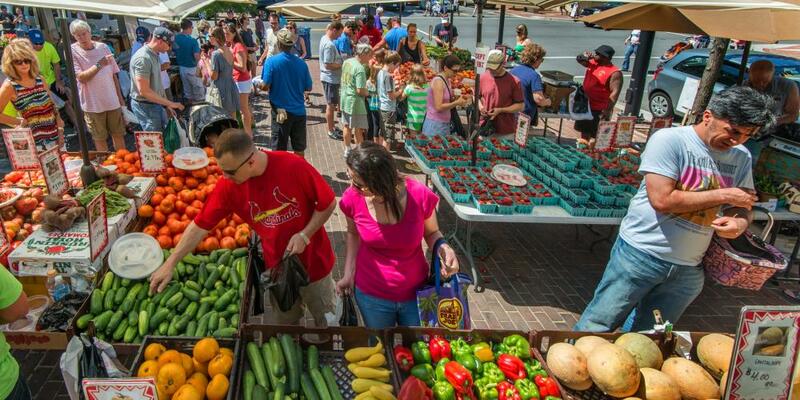 Grab a cup of locally roasted Misha’s coffee and head to the oldest continuously-run farmer’s markets in the country, where George Washington sold produce from Mount Vernon. Today, find baked goods, local art, organic skincare products and more. 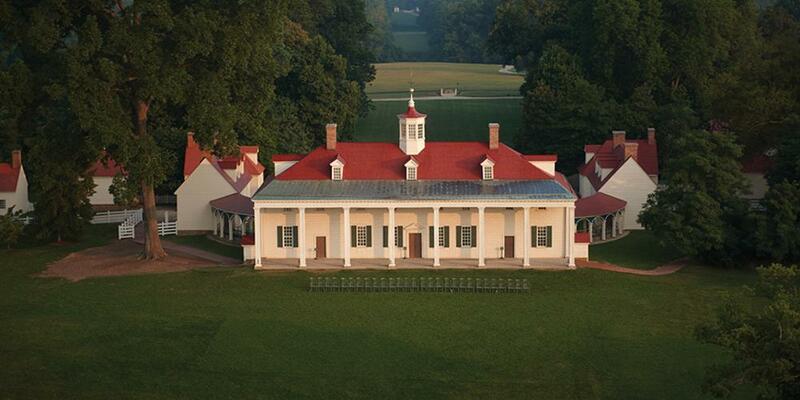 Explore history where it happened at eight intimate historic site museums. 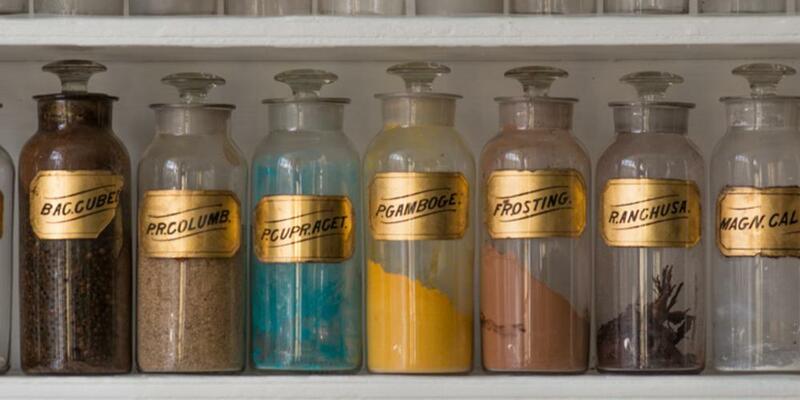 Step back in time at the Stabler-Leadbeater Apothecary Museum and see original contents at a pharmacy dating back to 1792, a favorite of Harry Potter fans. 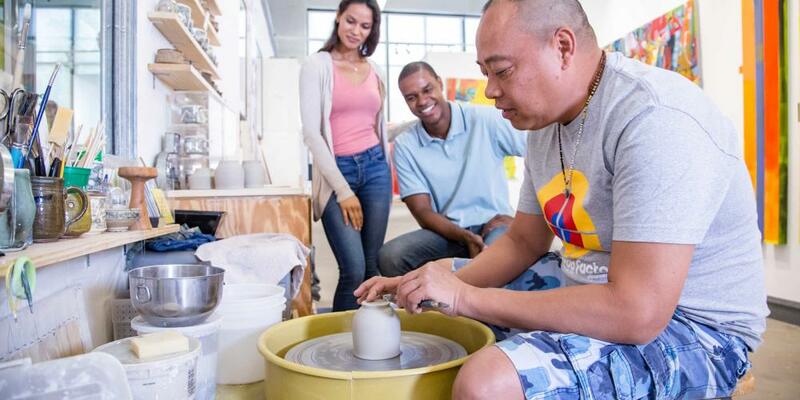 Stroll to the marina to explore the Torpedo Factory Art Center, a former munitions plant that is home to the largest collection of publicly accessible working artist studios in the U.S., including 82 studios, seven galleries and every medium imaginable. 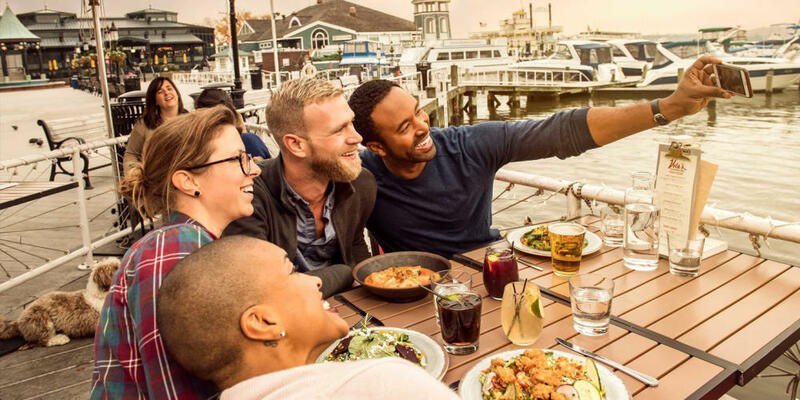 Unwind at one of Old Town’s waterfront restaurants and take in Potomac River views. Vola’s Dockside Grill serves comforting seafood classics with on-the-dock seating made for people watching. Then, step into Vola’s Hi-Tide Lounge for post-dinner drinks. Start the day by snapping share-worthy photos of picturesque row houses on cobblestoned Captain’s Row, or catch a sunrise at Jones Point Park on a morning walk through the neighborhood and along the Potomac River waterfront. Columbia Firehouse is a must for brunch, set inside an historic building that served as a fire station as early as 1883. Enjoy local classics like oysters, waffles with fried chicken, and the jalapeno cheddar biscuits with bacon butter. 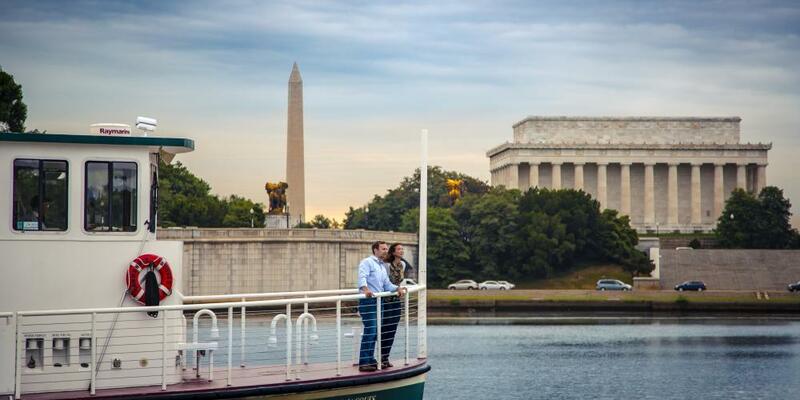 Get out on the water and enjoy stunning views of Washington’s monuments and historic landmarks on a narrated boat cruise, or choose from among other boat tour offerings connecting Alexandria with attractions of the D.C. region.